KINGFIELD - In its 16th year, the Kingfield POPS lineup is sure to be yet another crowd pleaser with the likes of Gypsy Tailwind Reunion, Adam Ezra Group, the reliable sounds of the Bangor Symphony Orchestra and a tradition of the POPS- Franklin County locals GoldenOak. Starting out in 2003 as a project of the Mt. Abram Economic Development Association, the event has grown into much more than just a boost to the area's economy. Each year the POPS helps to fund concerts in schools, offers music-based scholarships to students, and creates opportunities for youth to perform on stage. One of the most successful initiatives that the Kingfield POPS has initiated is their musical instrument drive. Professionals work to repair and refurbish donated instruments before providing them to children who can't afford to buy or rent their own. The culmination of those efforts to support local musicians can be seen with the event's dedication to bringing local musicians into the line up. This year's local favorite- GoldenOak- is a soulful act who’s gaining fanfare with every appearance on their busy summer tour. 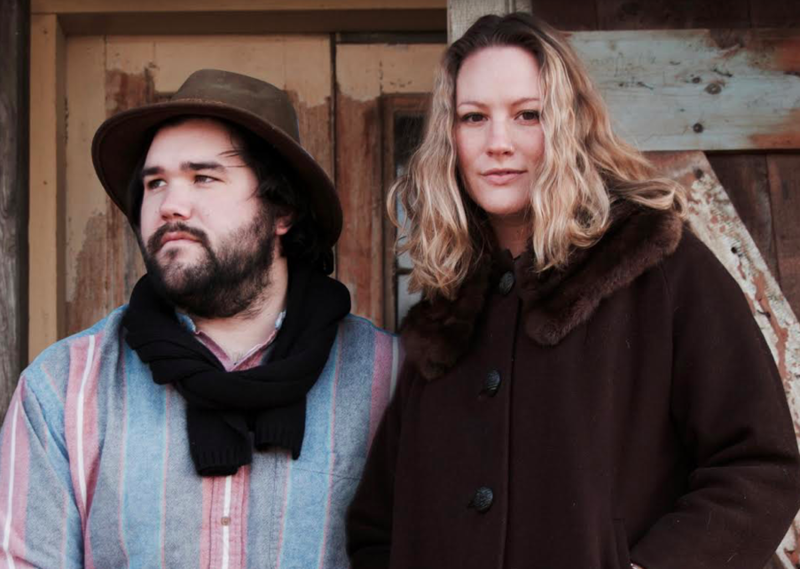 GoldenOak is an emerging sound in New England folk music. A Portland-based, indie-soul folk sibling duo; Zak and Lena Kendall, originally from New Sharon, show their bond as brother and sister through carefully crafted songs, poetic lyrics, and flowing harmonies. Their music sows seeds that explore a rich folk tradition. This is not the first time GoldenOak band member, Zak, has stepped foot on the POPS stage. As a student he performed with the Franklin County Fiddlers and expresses his excitement to return. “Having the experience in high school to perform at the POPS as part of the Mt. Blues Fiddlers was incredible. Now as we gear up for our performance at the POPS this summer it feels almost surreal. To be returning to the stage with our own music and our own band is truly an emotional experience for us. It has us reflecting a lot on where we have come from, the places and people who have influenced us, and how far we have grown both personally and musically along the way. The last few years we have gotten the chance to play on stages we have dreamed about playing on, and the POPS stage is definitely one of those stages,” Zak said. As a sibling duo, Lena and Zak both benefited from the supportive arts community that surrounded them as they grew up. They pay tribute to their adolescent years in Franklin County that have influenced the music they make for their audiences. “We were so fortunate to grow up in this small Western Maine community that was so incredibly supportive of the arts. We were influenced by passionate music teachers, amazing music programs, and an overwhelmingly supportive community of people who came to concerts, donated to art programs, and simply sang along. It is no wonder that with support like this, we blossomed musically and emotionally in this community, and used so much of what we learned and experienced here in the development of our albums,” he said. The community has loved watching GoldenOak strive to the heights they have achieved thus far, but Lena and Zak say they are just getting started. With more big shows and talks of new music around the corner, GoldenOak asks their fans to follow along on Facebook and Instagram @goldenoakband to stay tuned for other exciting show/music announcements. And be sure to check out both “Pleasant Street” (their full length album released in 2016) and “Foxgloves” (a new EP released in 2017) so you can sing along with the crowd when they take the big POPS stage on June 30. For more information on the concert, ticket sales, and line-up visit please visit kingfieldpops.com. Their music is beautiful and will make your heart smile. I'm excited to go to my first Kingfield Pops - what an awesome line-up.